Use this free search tool for a quick comparison of Avis, Budget, Hertz, Europcar and Thrifty car hire New Zealand prices. There are no booking or cancellation fees. Thinking of Hiring a Campervan in Zealand? 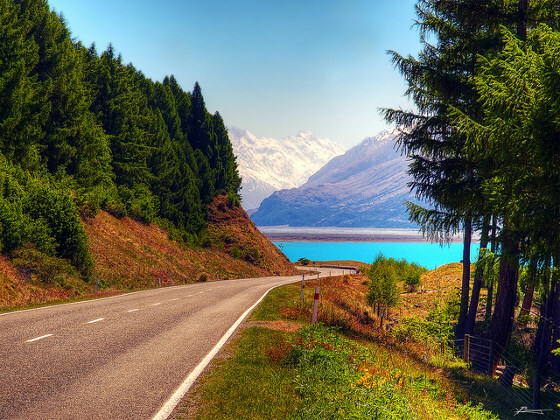 Apart from the companies you can compare above, there’s a wide range of New Zealand car rental providers offering vehicles throughout the country. For easy contact, we’ve pulled together Australian and New Zealand phone numbers to 13 suppliers offering cars nation-wide. Want a short-cut? Check the comparison tool above to instantly compare Hertz, Thrifty, Avis, Budget and Europcar. Part 3: How About Local Providers? A great place to look for deals are local companies. You can often save on your rental by hiring locally, but as is with any service, the price and quality of service will vary from company to company. Some companies have brand new cars, some have an old fleet, still others have a mix of both. Before your rent — start by checking the company’s website. It will often give you a first clue about what to expect. Don’t stop there though, look for reviews left by previous customers on other sites. Follow the links below to find lists of local providers in several locations on both islands. Many of the companies we have listed in Parts 1 & 2 provide 4×4 vehicles. Usually though there are restrictions where you can take them, and off-road driving is not possible. If you’re looking for a car that you can take onto a driving adventure across all sorts of terrain you should contact a specialist 4WD company such as Overland or New Zealand 4WD Hire. Most large rental chains don’t have sports cars in their fleet. You will find some SUVs and maybe the occasional convertible, but if you’re looking for a BMW or Porsche you usually need to look at local companies that specialise in luxury and sports vehicles. 8-seater, 10-seater and sometimes larger vans are available from many providers listed on this page. They’re a great idea when travelling in a group. Due to their popularity these type of vehicles are usually the first to run out in holiday season, so book early. Report any defects you find. Get them documented (take a copy). Familiarize yourself with how to operate lights, mirrors, air-con and other controls. Have a staff-member sign off that the car is undamaged. Keep a copy of this report. If you’re returning a vehicle outside of office hours, it’s a good idea to take some photos of the car. Check if your hire car is reasonably clean. If it’s very dirty – you might get charged extra for cleaning. Check you haven’t left any of your belongings in the car. New Zealand roads are quite windy and narrow, so don’t underestimate the time it will take take you to reach destinations. The scenery can be amazing, but it also can be a distraction. If you’re driving slower and have traffic behind you, pull-up and let vehicles following you through. 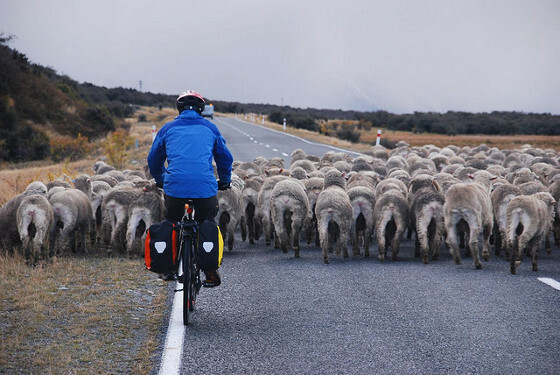 New Zealand – beautiful scenery with often narrow and windy roads. Drive on the left side of the road. Unless signs say otherwise the speed limit in urban areas is 50km/h. Using handheld mobile phones while driving is prohibited. Driver and passengers must wear safety belts and children under 5 need to be secured in a child restraint. If you need a child seat, pre-book one with your car hire provider. Heavy traffic on a rural road. In rural areas take care when passing farm animals. Slow down and stop if necessary. On most rural roads the speed limit is 100km/h, however it often isn’t safe to travel at that speed. Q: I’m under 25. Will I pay a different rate? A: Some car hire providers do have a surcharge for drivers under 25. Shop around to find the best available price for your age. Q: How can I rent a car if I’m under 21? A: Many rental companies require the driver to be at least 21 years old. A few that don’t are: Jucy, Omega and Ace. A higher excess and surcharges may apply. Q: Why do I need a credit card? Is a debit card OK? A: Most car hire firms will place a deposit on your credit card. This is a form of security for the company. Since debit cards don’t have this functionality, a credit card is required. Q: Is any credit card acceptable? A: Check with your rental car provider. While MasterCard and Visa are universally accepted, American Express & Discover cards aren’t necessarily. Usually the card needs to be in the name of the driver. Q: What insurance will I get? A: Most companies will have basic insurance included in the car hire rate. Basic means there is a relatively high excess rate – the amount you are liable for in case of an accident. Suppliers will offer additional insurance to lower this excess which usually starts at $1500 to a few thousand dollars. You can however arrange your own auto insurance and this is in most cases a much cheaper solution. Ask your current insurance company or credit card provider if you’re covered when hiring a car. There’s also specialist travel insurance companies such as OneCover that can often give you a better deal than you’ll get a the rental desk. A: Excess is a fee you need to pay if the car is damaged. You can purchase additional insurance to lower the excess. Q: Do my kids need child seats? A: Child seats and restraints are required for children under 5 years of age. Many companies can provide a child seat at an extra cost, booking may be necessary. Q: What drivers license do I need? A: To drive in New Zealand you need a valid license in English or you must have an accurate translation if it’s in another language. You’ll find more information on the NZ Transport Agency website. Q: Can I take my hire car off-road? A: Most companies do not allow you to take a rental car off-road even if it a 4WD. There are however firms that specialise in renting vehicles that can be driven off-road, for example Overland. Q: Can I take my the vehicle onto the other island? A: This depends from provider to provider. Several car hire companies will require you to drop your vehicle off just before boarding the Cook Strait ferry and to pick a different one up at the other end. Sometimes this may be a more economical way to arrange your rental even if you can take the vehicle onto the ferry (take into account the cost of ferry tickets). Thanks for using our free car hire New Zealand guide. We hope you have a great time in Aotearoa, the Land of the Long White Cloud. Photo of Lake Rotura (top of page): Jeff Pang.